Last weekend Lote Tuqiri, Scott Prince and I were lucky enough to be hosted on a quick trip to Papua New Guinea and with the Hunters doing so well in the Intrust Super Cup and the World Cup around the corner, their love of rugby league is as strong as ever. Unfortunately, I never had the opportunity to play in PNG or against the Kumuls at all during my career but to spend some time on the ground and talk to the locals over there about their rugby league you get an appreciation of just how much it means to them. Like most people, I’ve seen the reaction that the Kangaroos players have received when they have been swamped at the airport or had the team bus surrounded when they have arrived in PNG and there is definitely a strong desire to one day see a team from PNG playing in the National Rugby League. 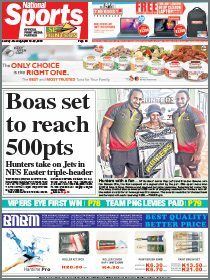 Probably the greatest development for the game in PNG in recent years has been the introduction of the Hunters into the Intrust Super Cup and everyone up there is really excited about the prospect of them going all the way this year. This is only their fourth year in the competition but they’re on top of the table at the moment and if they can go on and win the grand final this year — which I think they can — and have a couple of years of success then they’ll have a much stronger case for promotion one day in the NRL. They’ve got a lot of money behind them now, their footy field in Port Moresby is first class and there’s a great amount of support behind them so I can definitely see a time in the future when a team from PNG will become part of the NRL competition. In the short term we need to support the teams we already have in the NRL but the prospect of having a team from PNG in the NRL would bring a huge level of excitement into the game. You only need to see the way they play in the Queensland Cup and the fans that come out to watch them to know they would bring something incredibly special to the NRL and would have a major impact on the people of PNG themselves. Even just spending two days up there you could see just what the game means to people and the way that the young kids worship the Hunters players; that would go to another level again if they were ever in the NRL. 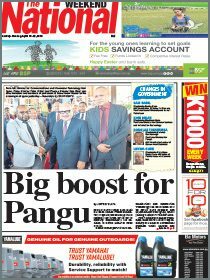 The next step I believe is for PNG to develop their grassroots systems and to have some assistance in putting programs in place so that they can continue to develop their young talent. At the moment what you see predominantly from the Hunters and the Kumuls are passionate players relying largely on their natural skill and physical attributes but to one day advance to the NRL level they will need stronger development programs in place. If we had people on the ground up there working with the young kids who love the game so much I’ve got no doubt PNG would produce a heap of talented footballers and I’m going to try to assist people up there get access to some basic skill programs through Paul Dyer who looks after our development at the Broncos.